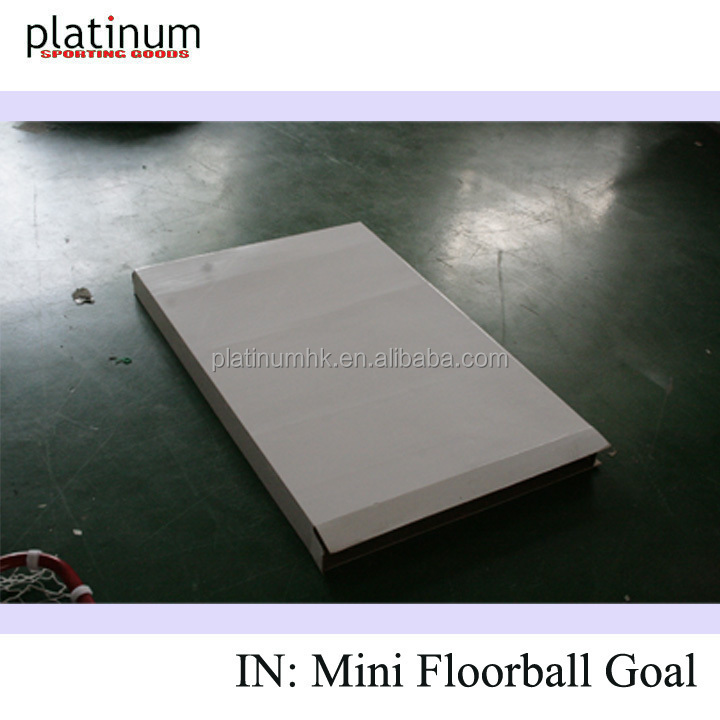 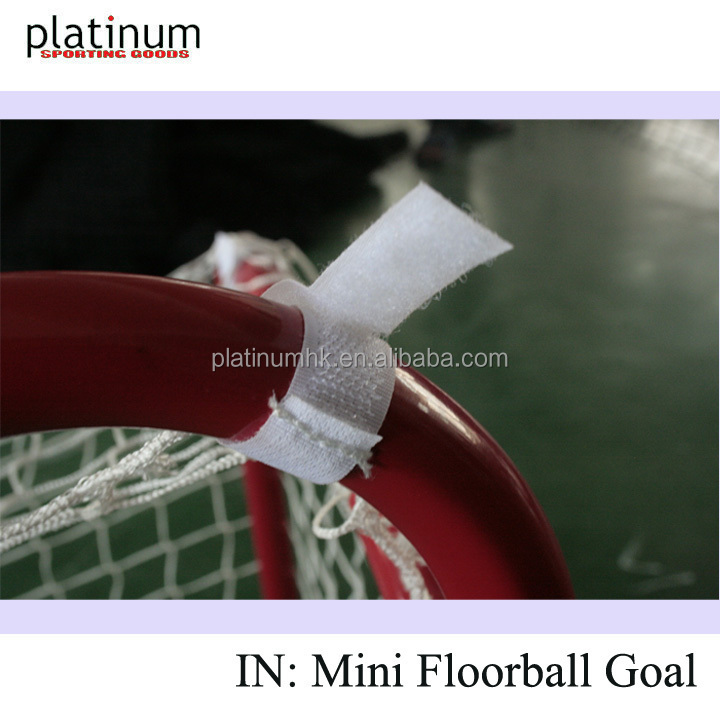 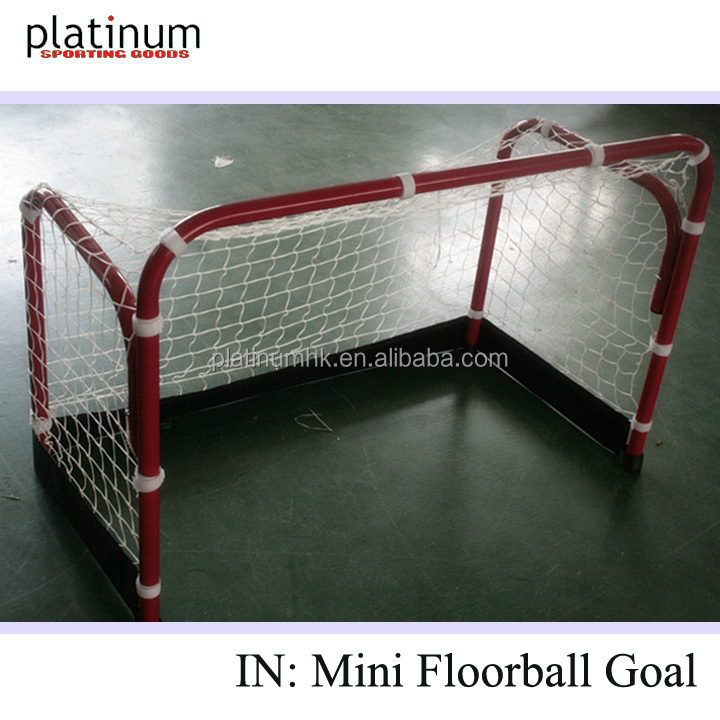 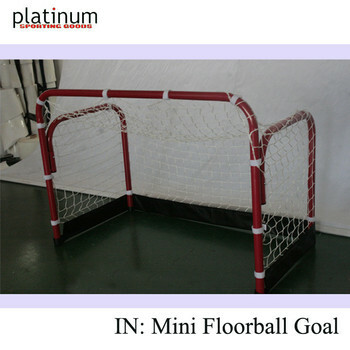 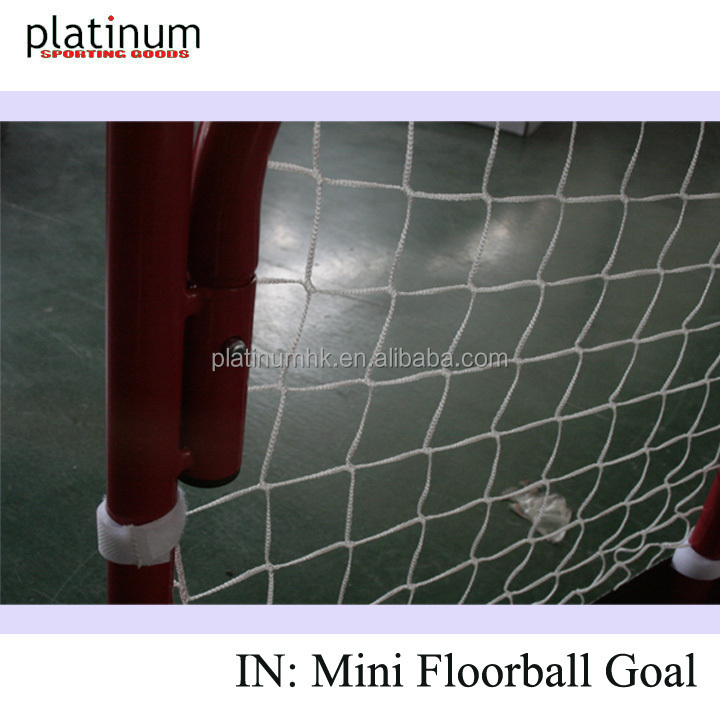 -Portable/foldable mini floorball goal set. 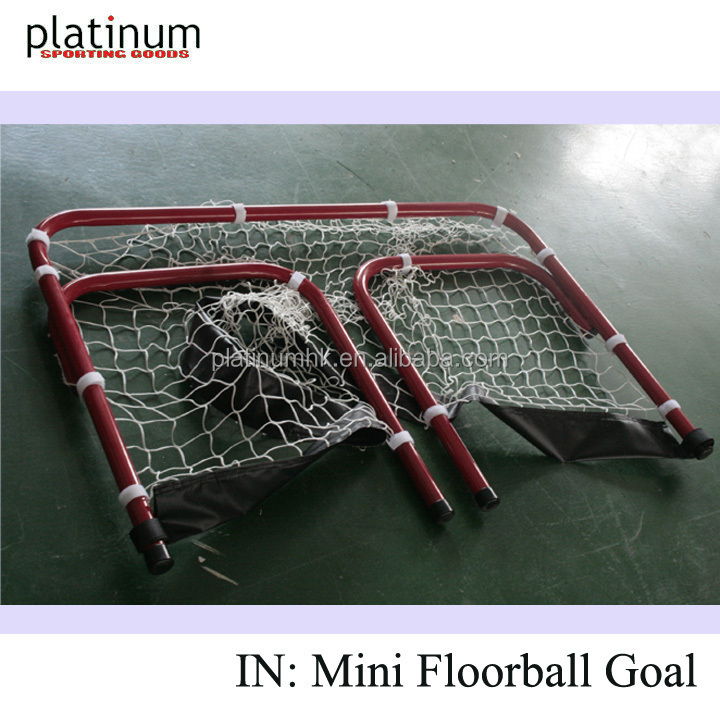 -Quickstart for assembling, used for kid playing. 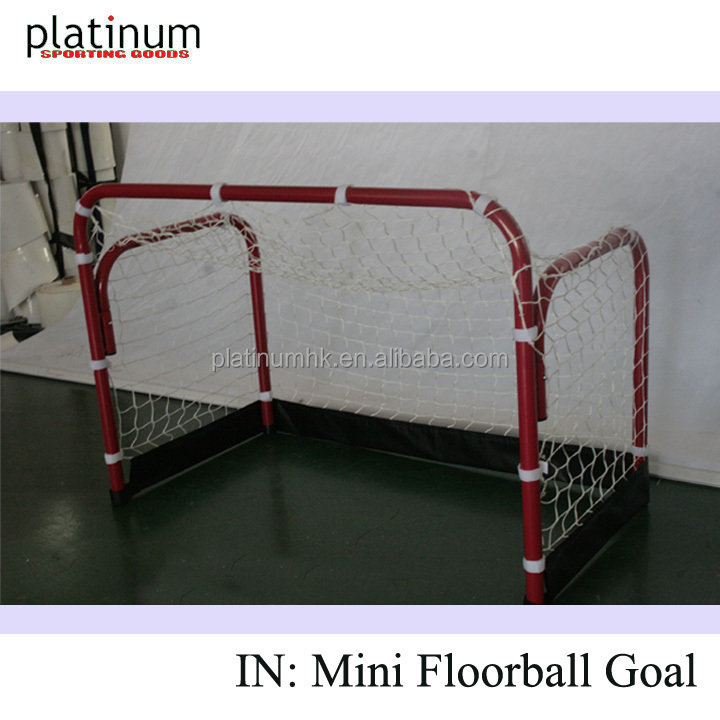 -heavy-duty steel frame with powder coated in red, match with polyester white knotless net and velcro strap for connecting.